As I've pointed out before I'm kind of over and done with Julep, despite being a really happy customer and a Maven for nearly a year. So I've been going over their products that I've tried and reviewing them, but also suggesting places you can get similar or better products, usually for cheaper. My review of some of their makeup selections is here, and many of their hand and foot care items are here. 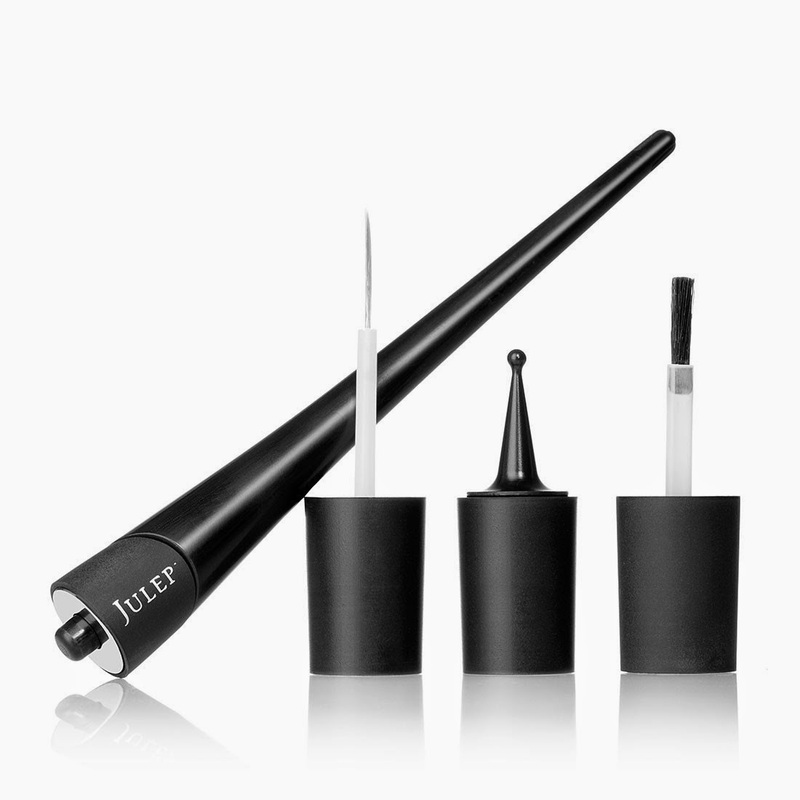 Now, if you've been following Julep for any length of time, you'll probably remember when they did their crowdfunding campaign to announce their new product, the Plie Wand. 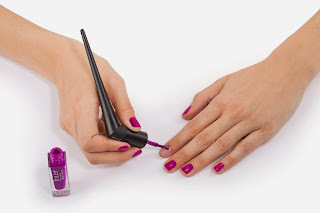 The wand is a new tool that they say will "bring more accuracy, control, and fun to every manicure—especially when polishing with your non-dominant hand." Now, I for one had no problem with them crowdfunding this venture for a lot of reasons. Primarily because they were using the term "crowdfunding" because it's a hip thing that gets attention. They weren't crowdfunding, they were offering pre-orders on a new product and some packages with extra stuff in them. Honestly, it wasn't really a thing. The big deal with the "crowdfunding" though was that it gave their customers a chance to see this new product before it went to market and comment on it. In this case, they'd decided on an ill-advised and frankly idiotic design that would have involved every customer that had been buying polish from them to completely change out the caps for every. single. bottle. Julep gave vague promises that they weren't going to make you purchase a new cap for every single bottle, but everybody saw this as what it was-a hassle, and an expense that was just unneeded. At least two customers that I saw spoke up on social media and stated the obvious - that Julep's bottles are already designed perfectly to accommodate switching out the top of the caps without a need for a huge redesign. And lo and behold, Julep switched up the design to do exactly that. So once that problem was solved, I was ready to check out this new product, primarily out of curiousity. 4. Nobody notices your edges anyway. People don't even notice when my polish is half chipped off and I haven't had a chance to remove it yet. Seriously, nail polish, not serious business. Lighten up, it's just fashion. Honestly, I think half the reason there's this stigma that it's SO HARD to paint your nails because they must be PERFECT is to sell products like the Plie Wand. If you are generally able bodied, then just practice. That's really all there is to it, practice and a smidge of patience. You don't need some $25 tool that only works with one brand of polish anyway. So okay, you can tell I went into this with a bias - I didn't really think anybody needed this product. If you have trouble with the standard bottle cap or whatever brand you use, there's a very simple and cheap solution: paintbrushes. Just buy a pack of cheap paintbrushes at the craft store. I've been using really cheap paintbrushes to do nail art since the mid-90's. I tried to give the Plie a fair shake, I really did. Because I thought "I use paintbrushes, this is the same thing." But the main problem is that the wand actually is very uncomfortable for me to hold. It's too big at the base, so I can't wrap my fingers around it the way I would a brush or even a polish cap for pretty much any brand. And honestly I think I had LESS control when I was trying to use it because I was trying to rest the wand on my hand the way they show in the picture, because they say that's why you get better results and that's not the way I hold pencils, paintbrushes, or anything else. The big deal about the wand is that it bends so that you can try different styles, and they swear that doing this will help you paint your dominant hand. For me, this was a DISASTER. Here's a thing about the way I paint my nails: I rotate the brush as I go. I don't just hold it in the exact same way the entire time, I use the shape of the brush and the way the polish is situated as part of how I control where things are going to end up. Not being able to easily rotate the brush meant that it took me twice as long for poorer results and that's just not going to fly for me. I saw somebody online say that there's a "learning curve" to using the Plie Wand. I'm not kidding, if there's a learning curve to using the wand it's probably the same learning curve for just doing it yourself in general. I could see an argument that the Plie Wand is helpful for people with particular disabilities or hand problems. If that's the case for you, then that's absolutely awesome and kudos. I think you probably could still just use some paintbrushes (you clean them off with nail polish remover when you're done, works like a charm) but you do what works best for you. For the average person though, that $25 could do so much more for you. Also of note: The Plie Wand Creativity Kit which is $10 extra and includes a dotting tool and a striping tool. I picked this up as an add-on to my Maven box that came with the wand because I kind of wanted a dotting tool just to see if I could do more fun stuff with it. I've yet to try the dotting tool actually, but I have tried the striping brush and it's RUBBISH. I cannot stress to you enough how terrible this is for what it's advertised to do. The bristles are too long to have any control AT ALL, and when I'm trying to do delicate lines like that with a paintbrush I hold the brush really close to the bristles, because you need CONTROL. But this striping brush is like an inch long, and because it's attached to the wand there's no way to hold it to really get the control you need to do a very good line. I've had better luck freehanding french manicure tips with a regular polish brush. The worst part is that you can also buy a "precision brush" for the Plie Wand that has a shorter stem and shorter bristles, to allow for even more control. They KNOW that a short handle and short bristles is what makes it easier to control something like this, they've done it on another product, and they still released a striping brush that is unusable for striping because of lazy, poor design. I cannot stress enough that this product is NOT AT ALL worth the price. I don't regret getting mine because it was just part of my Maven box that I would have gotten anyway, but purchasing it separately is a WASTE OF MONEY. Just go to a craft store and pick up a variety pack of small paint brushes, and maybe a pack of toothpicks. There are very few nail art techniques you can't figure out with those, especially if you add in some scotch tape or stickers for stencils. You do not need to spend a ton of money on fancy tools, all you need is some polish, patience, and practice.